Security in Moscow remains tight following Wednesday’s unrest involving Russian nationalist groups and ethnic Caucasus gangs, Moscow police officials report. Some 3,000 police officers were deployed yesterday to maintain public order and 1300 people were detained as a preventive measure. Violent clashes and scattered street fights between the rival groups in various parts of the city were quickly subdued by police. Law enforcers kept searching and detaining suspicious groups and persons carrying weapons. According to various media reports, about 30 people have been injured in violent clashes, however, Moscow police officials have not confirmed this information. Earlier on Wednesday riot police gathered at Kiev Square in Moscow, which had been believed to be the meeting spot for extremist youths and members of the North-Caucasian Diaspora planning the fight. According to the news agencies, some 1,500 people gathered on the square, most of them journalists and passersby. Police officials were trying to persuade people to leave the square through loud speakers. About 600 people, shouting out nationalistic slogans, departed the square and headed towards Bolshaya Dorogomilovskaya Street. The march was being accompanied by police. Customers from a local McDonalds have been evacuated following a threat that a bomb had been hidden in the fast food restaurant. The huge shopping mall “Evropeyskiy”, located on the Kiev square, was been closed due to the threat of violence. Preventive measures have also been taken at Red Square, which has been closed for visitors. 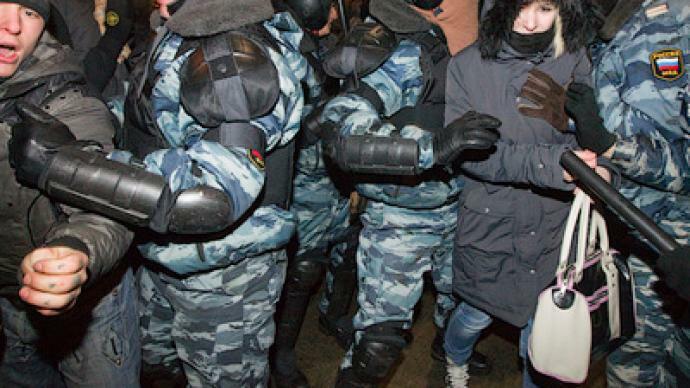 There have also been detentions to prevent clashes in other Russian cities: in St. Petersburg 80 people were detained, and in Samara around 100. Russian President Dmitry Medvedev promised strong action against anyone taking part in the latest street unrest. 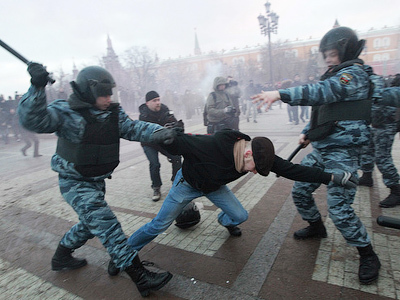 Moscow Mayor Sergey Sobyanin said police would harshly subdue all provocations and violence. “I call upon all hotheads not to yield to any provocations and violent slogans,” Sobyanin said. Head of the Presidential Council on Human Rights, Mikhail Fedotov, said clashes in Moscow were staged long before, Interfax agency reports. “Someone needs the pressure to inflame so that waves of violence arise in the country,” he suspects. 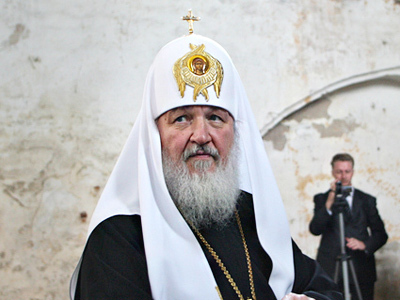 However, Alexander Belov, leader of the nationalist Movement against Illegal Immigration, said leading nationalist organizations did not stage any massive events in Moscow and even asked their supporters not to take to Moscow streets. The President of the North Caucasian republic of Ingushetia Yunus-Bek Evkurov, called on Ingushs residing in Moscow not to believe provocative slogans and not to participate in any illegal actions. Ahmed Azimov from Moscow's Council for Ethnic Issues says Wednesday’s events are a pure provocation aimed at splitting society into rival camps. Senator Ziyad Sabsabi, representing the Republic of Chechnya, believes the ethnic clashes in Moscow were caused by mistakes in the youths’ upbringing. “It would have been better to take some preventive measures before it came to clashes,” he said. Although nothing really tragic has happened, as the police had been informed in advance about the possible gatherings of aggressively-minded people, such a tense atmosphere in the city for the whole day is not a good sign, believes political analyst Dmitry Babich from RIA Novosti news agency. “An average Muscovite is angry,” said Babich, meaning anger at the outbreak of violence and at a state that cannot stop racism and nationalist hatred. The tension in Moscow flared up last week after Egor Sviridov, a football fan, was killed, allegedly by a young man from the southern Russian Kabardino-Balkarian Republic in an act of street violence. Police handled the investigation of the crime badly, provoking rage among the fan community, who feared the culprit may be left unpunished. 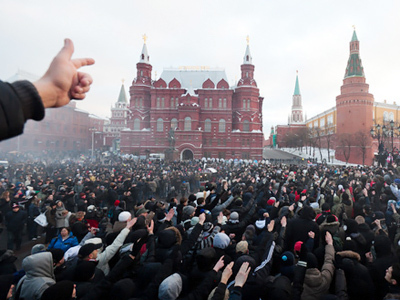 On December 11, the outrage turned into violence with nationalistic overtones during an unsanctioned rally near the Kremlin. Police had to disperse the crowd to prevent attacks on members of the Caucasian Diasporas. On Tuesday, police received information that a number of violently-minded people are on their way to Moscow from southern Russia to carry out some kind of retaliation. Since morning, police have been on high alert and ready to prevent possible clashes.